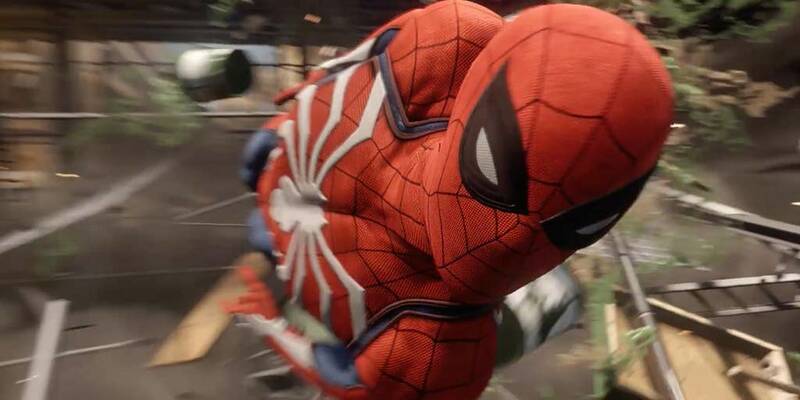 Spider-Man PS4 Gameplay Shown, Still No Release Date | Nerd Much? Spider-Man PS4 got a new gameplay trailer at E3 2017, and it was definitely one of the highlights of the PlayStation press conference. The gameplay shown shows a lot of interesting ideas at play, but what’s most impressive is the general fluidity of Spidey’s movements. What’s more, he’s slinging web quickly and accurately, and we’re wondering just how much control players will have regarding their webbing. We also see a lot of environmental interaction opportunities, and it appears as though they’re all highlighted in the world (so you’ll see those opportunities when they’re near you). We also saw some heavy cinematic moments, one of which included us actually helping villain Wilson Fisk. It’s also worth noting that what we saw in the trailer rang true to the Spider-Man character; he was constantly looking out for his surroundings, making every attempt to save the city of New York and its people. After the initial trailer was shown, there was a typical Marvel one-more-moment tease for the game, and it showed Miles Morales (who becomes Ultimate Spider-Man). Does this mean he’ll be playable in game? Will they team up? Two Spider-Mans? What’s going on, here? Spider-Man is exclusive to the PS4, and it’s coming at some point in 2018.